If Adam Savage and Jamie Hyneman of Mythbusters looked deep into the world of personalized learning, they would quickly note that one of the biggest misconceptions schools and teachers have is that personalization equals technology. I was in high school prior to the advent of Facebook, the iPhone, the Chromebook, and the popularization of blogs (ironic, given the medium of this article), and to this day, my most personalized educational experiences happened as a high school senior. I was a student in an Advanced Placement U.S. Government class, and I would frequently meet my peers and teacher, Mr. Allan, after school at a Starbucks. Between vanilla lattes and scones, we would prepare for a mock congressional hearing, argue over the true meaning of “consent of the governed,” discuss how the intent of the Framers was being transformed by 21st century logic, and debate over which prom theme was better – the punny “A Knight to Remember,” or the festive “Midnight Masquerade”? Some of the most lasting academic and social memories I have were built inside of that New Orleans area coffee shop, and just a few short years later, I would begin my career as a secondary history teacher, no doubt influenced by the very personalized history education I had received. I have since retired my history teaching armor, and now work as a Design Principal with Education Elements, but my role is still very much embedded in teaching and working with teachers. Along with other principals, I lead workshops and learning walks centered around incorporating personalized learning strategies and tactics to increase the college and career readiness of students. After a few site visits, I noticed a trend. Teachers would lament that they couldn’t “do” personalized learning because they did not have access to Chromebooks or their students would get distracted with digital content. During a recent classroom visit I participated in, I had a teacher approach me to say that I already missed her class’ personalized learning time, but if I wanted, she could put them back on the Internet. I realized that we as a company needed to more directly address the largest myth of them all – that personalized learning equals digital learning. In an earlier blog post, a colleague of mine spoke of the technology trap that some teachers fall into when first diving into personalized learning. Much like my high school history teacher taught me, to make learning personal for students, you don’t have to use technology. Technology is a fascinating tool that certainly makes aspects of teaching easier, but it is not a substitute for good teaching, nor is it the heart of personalized learning. Reflecting on what Mr. Allan did as a teacher before Google was a household term, and considering that some of the earliest examples of personalized learning come from the 100-year-old Montessori school model, there are tried and true examples of how you can do one without the other. Here are 3 arguments to combat the myth that personalized learning has to happen in front of a screen. 1. Personalized Learning is not a noun. It’s a verb. Our team meets every week to discuss our work, latest and greatest ideas, and general personalized learning updates. Recently, we discussed how we can better drive home the idea that personalized learning is a verb, rather than a thing teachers do. Our founder and CEO, Anthony Kim, writes in The Personalized Learning Playbook that personalization in its most basic form is the practice of “dynamically tailoring any service or product to the wants and needs of each user.” If you read that sentence a second time, you’ll notice personalizing equals tailoring, an action. When teachers are truly creating a personalized classroom, student needs and interests are the heartbeat of the curriculum. You can see, hear, and sense that students have a deep connection to the learning. This sense of student ownership over learning can be illustrated by visual cues such as choice – are students choosing which desk to sit in (or sitting on the floor); do they have the option to work collaboratively or independently; does the instructional activity allow for the ability to progress through an assignment or set of tasks at a differentiated pace? Teachers can personalize learning along a variety of continuums, and pace and place as noted above are only two of these continuums. 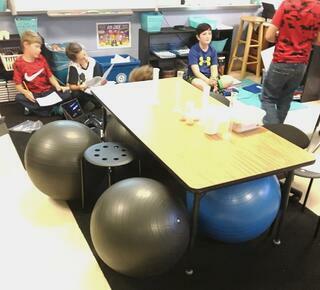 Students in Horry County Schools are offered flexible seating options. 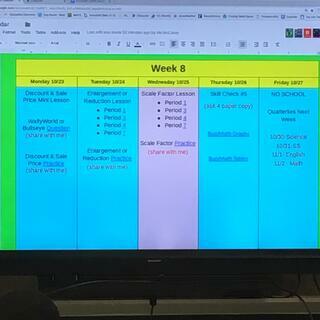 Students in Middletown Enlarged School District are given the option to move through academic assignments at a flexible pace using a playlist. 2. Technology serves personalized learning. Personalized learning does not serve technology. Technology can be an avenue through which teachers personalize learning for their students, but in an ideal personalized learning environment, the public, experts, and teachers agree that students are spending no more than 20 to 40 percent of their time on a computer. I recently spent time in a district that we have been working with for a few years, and one of the district leaders was in our earliest cohort of personalized learning trainees. He realized that in the course of using personalized learning in his classroom, technology was a component of personalized learning, but it did not define it. In his words, “Digital tools provide unlimited resources for a classroom, but the role of the teacher in making instructional decisions in the classroom based on curriculum and data is still current.” The personalization of learning is an attempt to provide schools with an approach to teaching that is different from “sage on the stage” direct instruction. If teachers were to place all of their students in front of a Chromebook, that would be no more personalized (and much more isolating) than if they were to continue with 45 or 90 minutes of lecture. Technology opens up the opportunity for teachers to simulate one-to-one instruction, free up their time for more small group tailored lessons, and reach students who have come of age in a digital world. It is a fascinating tool, but it is not the only tool. 3. Personalized learning can be done in the absence of technology. At Education Elements, we have four core beliefs about personalized learning. They are that students are able to reflect and have some ownership over their learning; that teachers use data to make decisions; that instruction is targeted to meet individual learning goals; and through a recent update, that content and tools are used flexibly to allow learners a differentiated path, pace, and performance task. All of these can be incorporated into a classroom sans technology. Want to use student reflection? Incorporate some reflection questions at the end of an activity. Need to use data to make decisions? 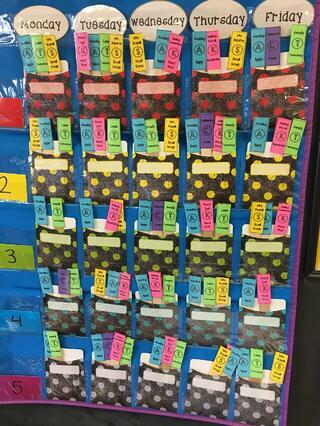 Do a quick scan of an exit slip to see which students may need to start class in a small group with you, and which are ready to move forward to an independent or collaborative task. Want to use more flexible content and tools? Gather some primary and secondary sources and create a playlist of informational activities for your student. 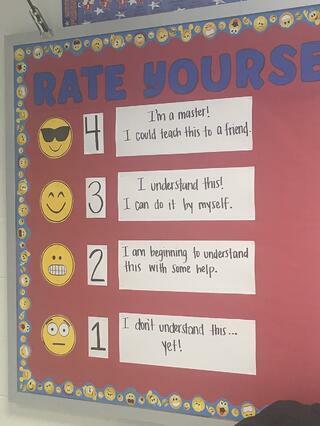 Use a self-evaluation rating system to have students reflect on their learning. 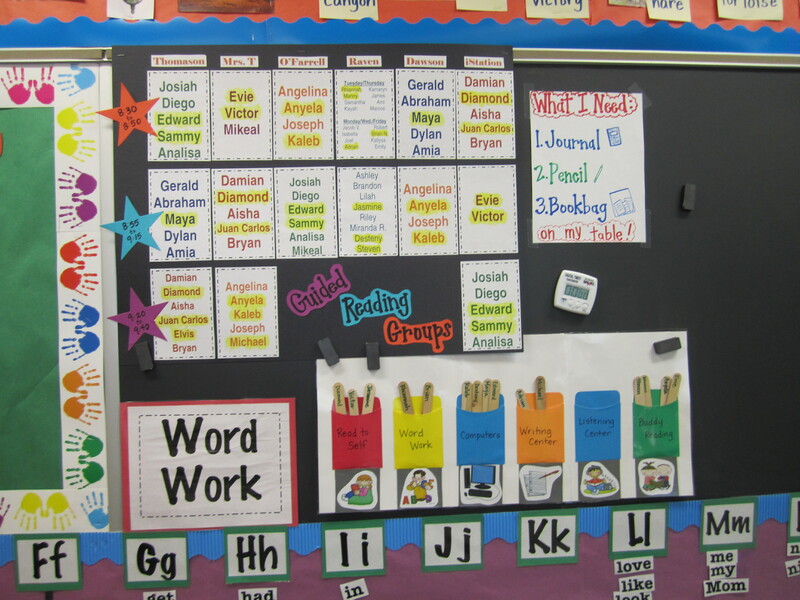 Have a station rotation board with activities for students to independently move through. While technology offers incredible tools teachers can use to incorporate a more personalized experience for students, it alone does not define personalization. And while it is probably a tasty treat and offers teachers a much needed caffeine boost, teachers don’t have to take their students to Starbucks to personalize their learning, either. All that is needed to begin taking a more personalized approach in the classroom is the notion that personalization varies from classroom to classroom, and that technology is a servant of that personalization, not its master. Gabby Hewitt is a Design Principal at Education Elements, working directly with large and small schools and districts to impact student growth and success. She spent six years in the classroom as an 8th grade U.S. History Teacher, first in Prince George’s County, Maryland, and later with KIPP DC. In her first year in the classroom, she was selected to receive the Maryland Association of Teacher Educators Distinguished Teacher Candidate award. During that time, Gabby also wrote the county-wide history curriculum for middle schools and assisted the Prince George’s County Social Studies Department with the rollout and integration of the Common Core State Standards. 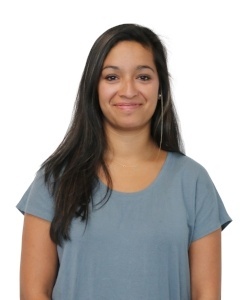 Gabby led teams as both the Social Studies Department Chair and Eighth Grade Level Chairperson before leaving the classroom to train and manage the development of resident teachers in her charter network. As the Manager of Professional Development for the Capital Teaching Residency program with KIPP DC, she developed skills in planning and facilitating adult professional development, project management, and effective teaching evaluation models. Gabby holds a B.S. in Political Science and a B.A. in Mass Communication from Louisiana State University. She earned her M.S. in Educational Studies from Johns Hopkins University. Born and raised in New Orleans, Gabby currently lives in the Washington D.C. area with her husband and sons. When she is not working, you can find Gabby pursuing her passion for photography, finding new coffee shops, and chasing around her two little ones.